Do you want to make the best concrete possible? Are there times you would like to be able to de-mold the same day? If the answer is ‘yes’ to either or both of those questions then you need to get some BOOST in your concrete mix! BOOST is a set-accelerating hydration-modifier admixture. 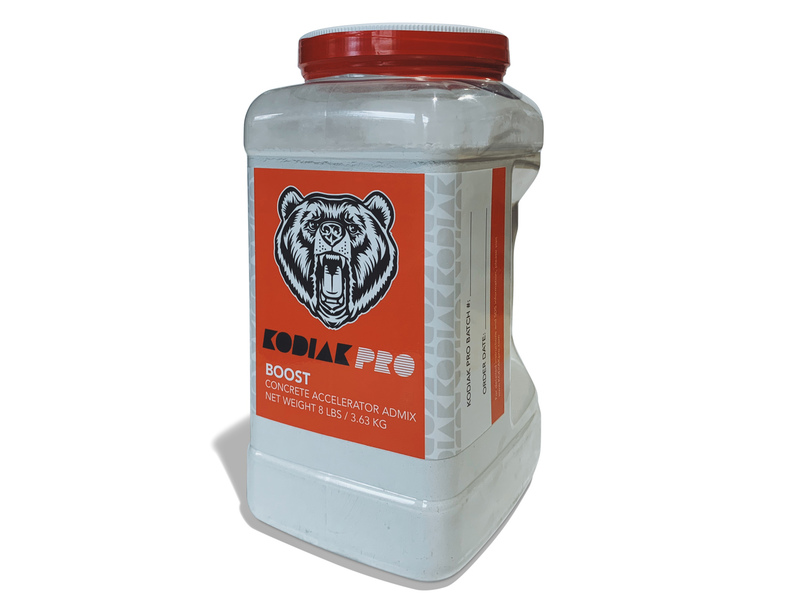 Unlike other set-accelerating admixtures on the market, BOOST contains no chloride or CSA’s, and is white in color, not taupe. Maybe that means something to you, maybe it doesn’t, but trust us when we say those are good things! In simple terms this admix will speed up the entire casting and finishing process. It will yield a stronger concrete, both in early and overall strength, and it will lower permeability. Additionally, by increasing total hydration there is less shrinkage. For the above mentioned reasons we use BOOST in all of our concrete for our client work. If you solely want better concrete without same-day de-molding, dose BOOST at a loading of 0.5% - 1.0% based on cement. On the other hand, if you gotta get it going dose BOOST at a loading of 4.0% based on cement. This will give you about 45 minutes of working time (presuming you iced your mix to be around 60°F / 15.5°C), and will allow you to de-mold in 3 - 4 hours. For example, if your mix calls for 23.5 lbs of Portland Cement and you are going to dose the BOOST at a loading rate of 0.5% you would multiply 23.5 x 0.005 = 0.1175 lbs of BOOST (at such small amounts I like to convert it to grams for precision when batching, so 53g). *Price includes USPS Flat Rate shipping within the Continental United States. For international orders please contact us for pricing. 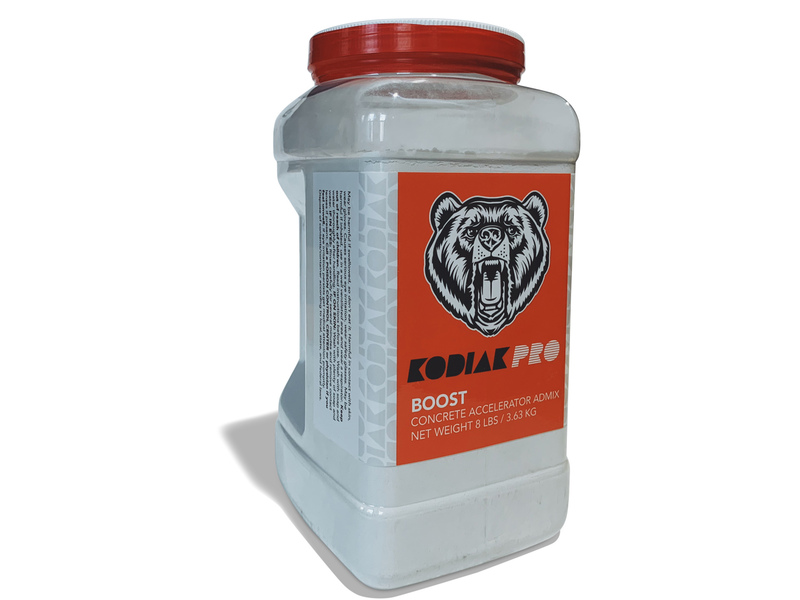 Kodiak Pro's 'BOOST' will light the ignition of curing your concrete quickly. Use BOOST to create higher performance concrete, GFRC, ECC, and UHPC. It works for all mix designs including SCC. 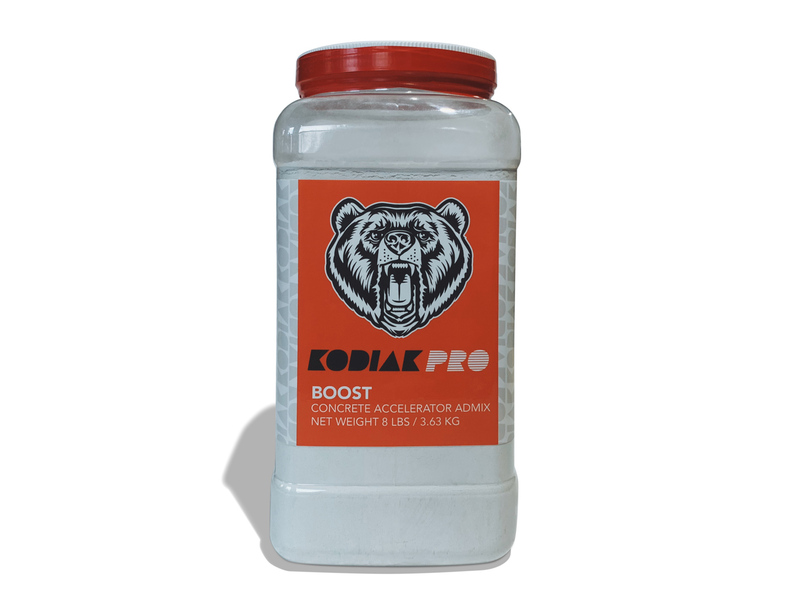 If you need to de-mold same day, use Kodiak Pro's 'BOOST'! If you have any technical support questions regarding our sealer or admixes, or should you require an international shipping quote, please feel free to drop us a line, we'll get back to you shortly.